Lot Size: 34.6 sq. m.
just a few steps from the famous 5th Av, shopping centers and the best beaches of the Caribbean. 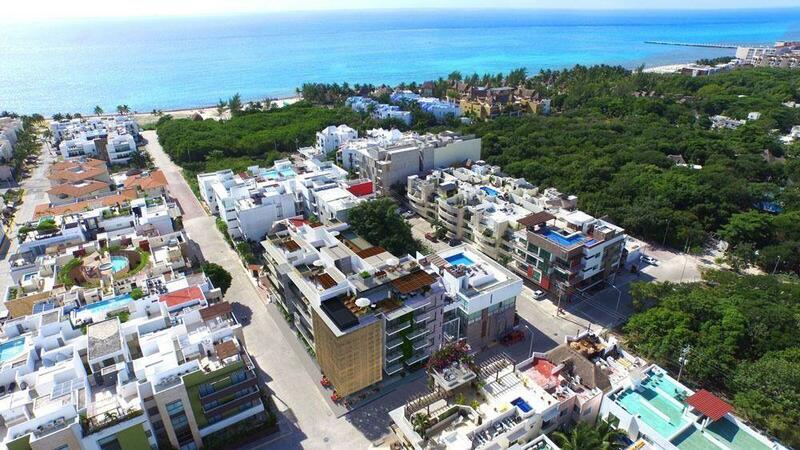 This Condominium is located between one of the main avenues of Playa del Carmen which is the av. 38 North, where important condominiums with high added value have been and continue to be developed. The building will have an elevator, Roof Top with common pool and lounge area. Studios with 1 bathroom, kitchen with granite counter top, terrace and completely Furnished.